What a big weekend we have in store this week here in Blighty! 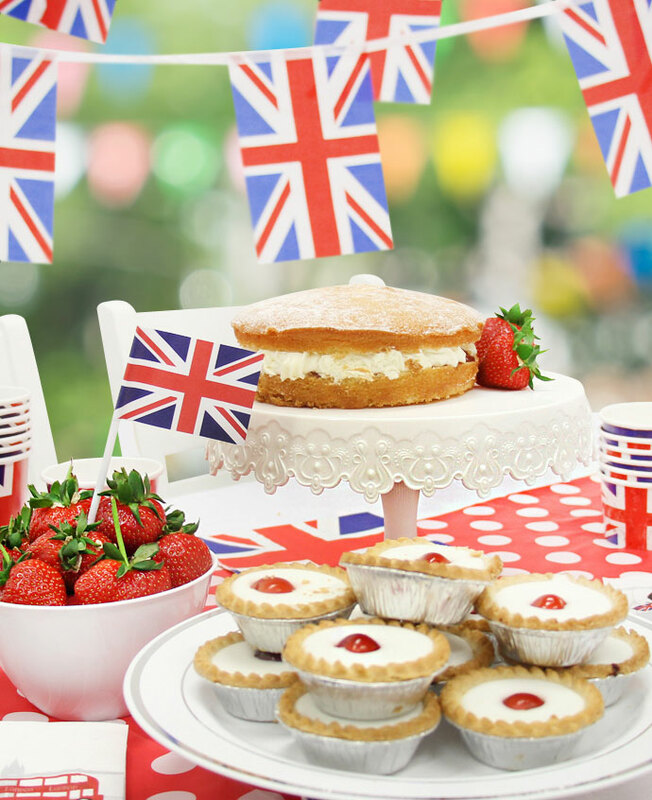 Yes we have another Royal Wedding and although it is going to be a bit more informal, I still want to kit the garden out with bunting and ‘Big Up Blighty‘ flags…but then that’s the way I roll! I seem to be the only one that is excited about it in my family! everyone else just ‘tuts’ and ‘rolls their eyes’ at me! But I have always been a Royalist and celebrate it! in my Garden I will! 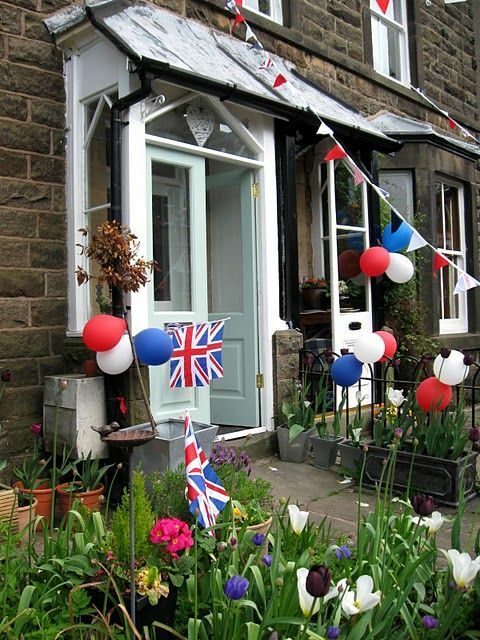 First of all you will need some Union Jack bunting…hang this either out the front of your house to show that you love a Royal event, or out the back in the garden…If you really are a BIG fan of events like this…decorate everywhere you can with plenty of bunting to show that you really appreciate being British and are going all out for a ‘Right Royal Knees Up‘! What about some flags and red, white and blue balloons!…you could probably pick these up cheaply in your local poundstore…I saw some royal family face masks in mine lol! what a Hoot! Make sure you have some comfortable and sturdy seating in your garden…you don’t want any elderly relatives frightened to sit down, through fear of breaking a hip!…Or worse! I personally like a solid sturdy chair with arms…this way I know my Hubby, Mum and Rosie will be safe and comfortable in the garden and armed with a cushion or two, we can while away an afternoon in comfort. I must just add here that I have found a super website for the most delightful garden furniture, they are called Garden Furniture and Interiors they have ‘drop dead’ gorgeous furniture if you are thinking of investing in something sturdy and well made…check out theirBramblecrestMontereyand Bramblecrest Monte Carlo ranges. Strawberries and Cream or Eton Mess are good ideas, especially if the sun is shining (which we hope it will be!) A typically English Menu is a good idea and one that many people choose. 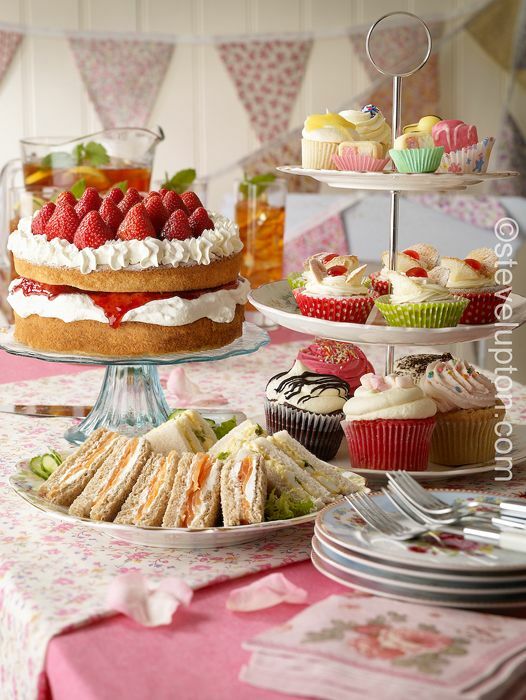 So make those Egg and cress sandwiches or salmon and cucumber ones and serve them on a 3 tier cake stand. You could serve them on the top layers with little speciality cup cakes on the bottom…or perhaps some lovely Fresh cream and strawberry jam scones. Yum Yum…all this talk is making me hungry! 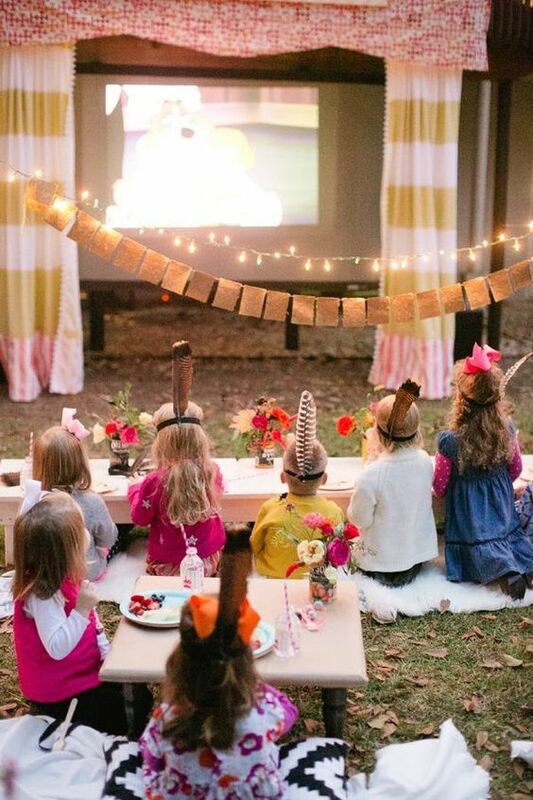 What a brilliant way to entertain the children, than setting up a home cinema in the garden…this surely will keep them entertained for hours whilst us parents can chat away…also this is a good idea, if you are hosting a Royal Wedding Watch Party! you can actually watch the wedding celebrations and let the kids take over your TV in the Living room…I suppose it all depends on the age of your kids as to which way you decide to do it…but what fun! 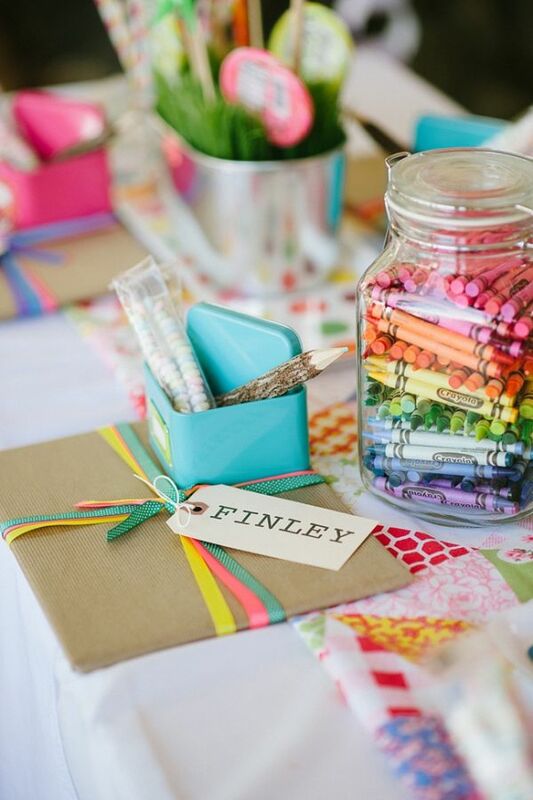 Alternatively you can wrap up little parcels of activities that you can give to your young guests through the day…this will keep them amused for a few hours or until they get bored and then you can give them another little pressie with something equally interesting…things like bubbles, paper and crayons, skipping rope etc etc. Another Idea to keep the kids entertained is to hire a babysitter for the day, this way they can do activities with your young guests and then hopefully they will enjoy the day as much as you. 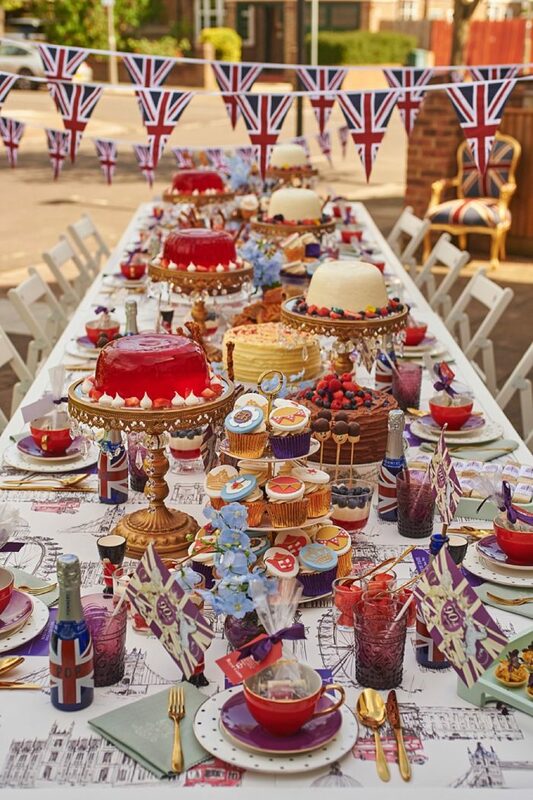 Whatever you are up to this weekend, I hope it is a Happy One and if you are hosting a Garden Party I hope these ideas help to make your party the best in town! Next Post It’s National Fish and Chips Day Today!